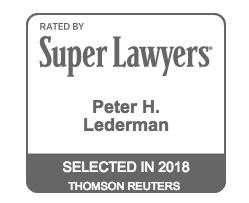 Peter Lederman was named in the 2018 Super Lawyers list! The firm, Davison, Eastman, Muñoz, Lederman & Paone is pleased to announce that in addition to Peter Lederman and eleven other of its lawyers have been named to the 2018 New Jersey Super Lawyers list. 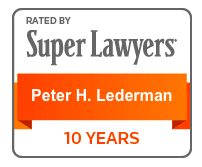 Super Lawyers states that selection for inclusion to the Super Lawyer listing follows a selection process which is a comprehensive, good-faith and detailed attempt to produce a list of lawyers that have attained high peer recognition, meet ethical standards, and have demonstrated some degree of achievement in their field. Super Lawyers selects attorneys from all firm sizes and over 70 practice areas throughout the United States. The final published list represents no more than 5 percent of the lawyers in the state. The Rising Stars list recognizes no more than 2.5 percent of attorneys in each state. Note: No aspect of this advertisement has been approved by the Supreme Court of the New Jersey or the American Bar Association. Posted in News and tagged 2018 Super Lawyers, Super Lawyers List. ← The Best There Is!